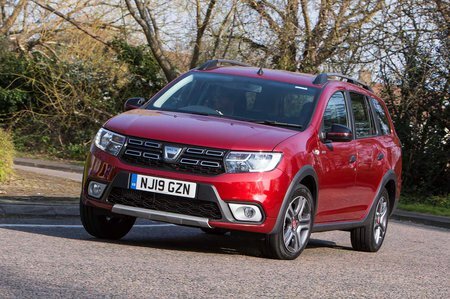 Dacia Logan 0.9 TCe Essential 5dr 2019 Review | What Car? What Car? will save you at least £95, but our approved dealers could save you even more. The Dacia Logan MCV is a bargain small estate that offers plenty of room and a surprisingly capable and economical selection of engines, but refinement and kit levels are poor. It’s a budget option, starting at less than £10,000, but it shows throughout. As the name suggests, you get essentials such as air conditioning, a DAB radio with Bluetooth connectivity, rear headrests, electric front windows and remote central locking. This offers the best balance between cost and equipment. Tiny turbocharged petrol has to be worked relatively hard to access its performance. Although this is the range’s quietest engine, refinement still disappoints when compared with rivals.